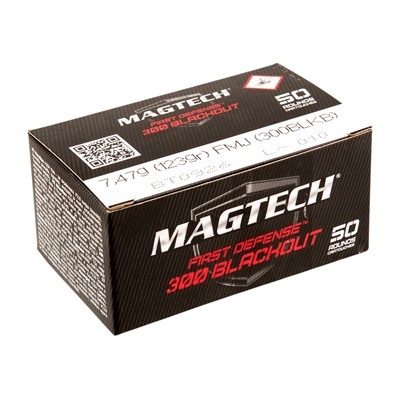 Magtech First Defense .300 AAC Blackout 123-grain FMJ ammo offers the performance of a premium load at the price of practice ammo. 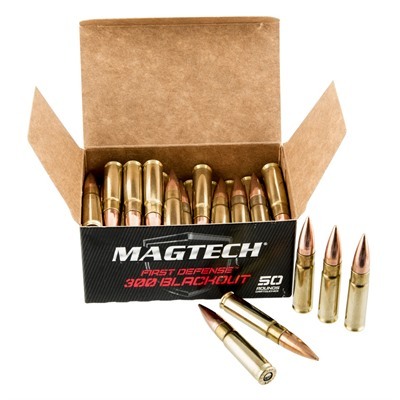 Magtech manufactures this clean-shooting, brass-cased .300 AAC Blackout 123-grain FMJ ammunition entirely in-house with high-grade, rigidly quality-controlled components. Magtech’s First Defense .300 AAC Blackout supersonic ammo is loaded with a 123-grain FMJ bullet for optimal performance in 300 BLK rifles, including SBRs.